In a 'Boycott In-N-Out' World, Is It Possible to Find an Ethical Burger? 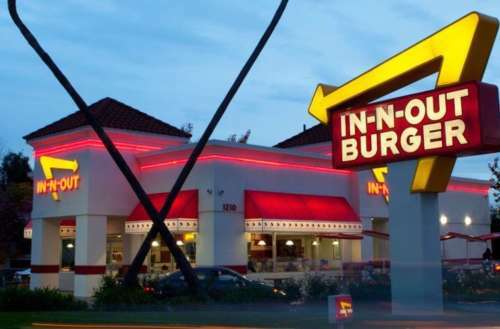 With Calls to Boycott In-N-Out Over GOP Donations, Where Can Liberals Find a Burger? The fast food chain In-N-Out Burger gave $25,000 to the California Republican party, according to a recently discovered 2018 financial document — perhaps not too surprising for a burger restaurant that prints Bible verses on its cups and burger wrappers. But while many liberals want to boycott In-N-Out, is it possible to find a comparably delicious burger that reflects our own political values? Several fast food burger chains have donated to Republicans and conservative causes. According to eater.com, from 2011 to 2014 McDonald’s donated $1,092,320 to Republicans, Wendy’s donated $609,902, White Castle gave $150,878 and Dairy Queen gave $8,856. In 2008, Burger King gave $52,950 to Republicans. Granted, even if they don’t donate to Republicans, fast-food burger chains of all sorts can run into other ethical quandaries over workers’ wages, environmental sustainability and consumer health. But is it possible to find an “ethical burger”? After doing some digging, we’ve found that yes, you can find a better tasting burger than In-N-Out without benefitting Republicans and conservative causes. 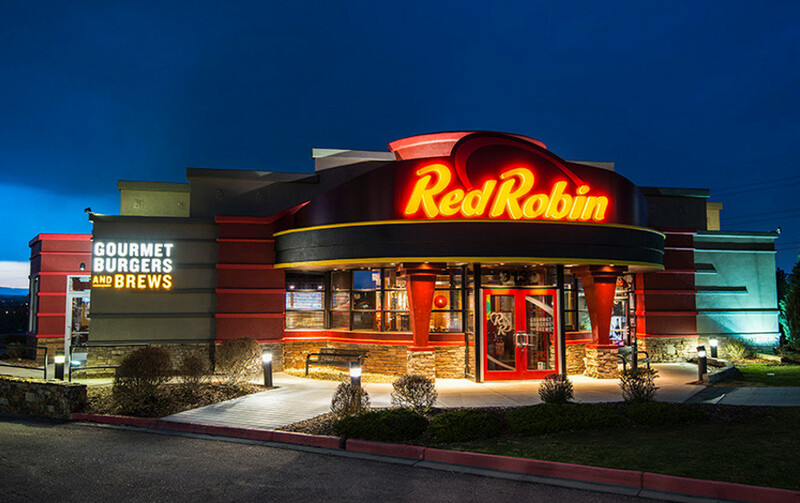 Founded in Seattle in 1969, Red Robin had more than 500 locations as of 2015, some of which are company-owned and about 100 of which are franchises. More of a “sit-down spot” than some of the other chains on our list, Red Robin is known for its “gourmet burger” options and its bottomless steak fries. While Red Robin provides donations to different community groups, its own corporate guidelines prohibit any official giving to political organizations, campaigns or religious groups. 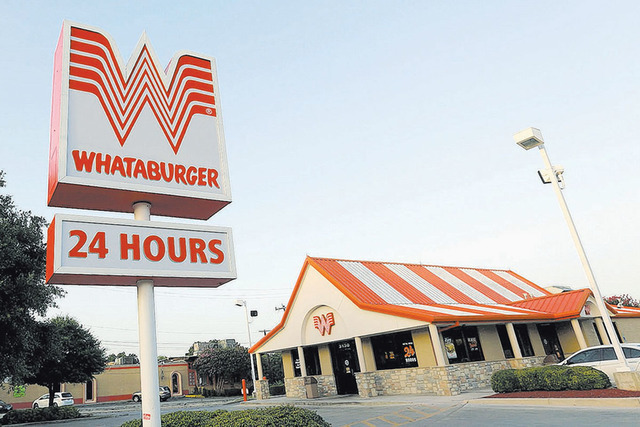 Whataburger, known throughout Texas and a few other Southern territories, also has policies that forbid political donations on a corporate level (“Unfortunately Whataburger is unable to provide support for … political candidates, parties or organizations”). But the beloved burger chain — founded in 1950 and now with more than 800 restaurants nationwide — is quite community-minded, having provided donations toward cancer research, child abuse prevention, assisting the hungry, disaster relief and more. And let’s not forget that Whataburger has the best ketchup in the world — so great that you can actually purchase it in some grocery stores. Whataburger ketchup even has its own merch. 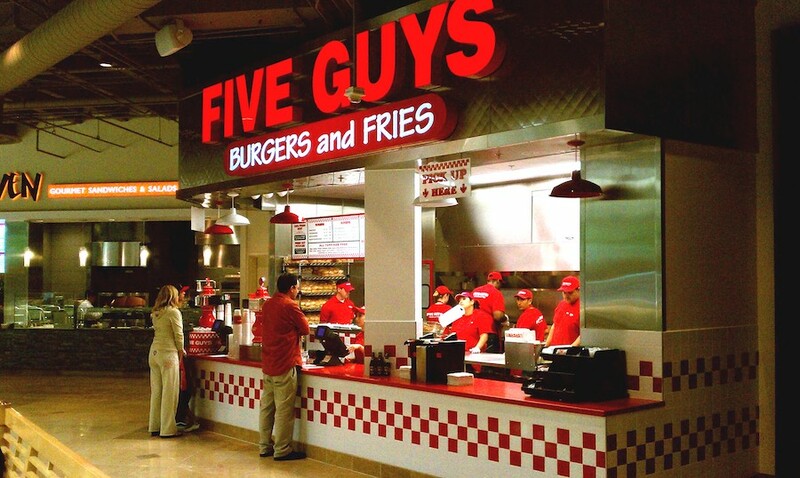 Though founded in 1986 in Virginia, it wasn’t until 2003 that Five Guys began franchising, which sparked a rapid expansion of the burger chain throughout the country and the world. Right now there are more than 1,500 locations worldwide, with another 1,500 burger joints currently under development. At one time Five Guys was the fastest-growing fast food chain in the United States. While the burger brand got some bad press in 2013 when a franchisee loudly expressed his opposition to Obamacare, threatening to increase prices because of it, a company spokesperson responded that those views do not represent the company’s. Ironically, President Obama stopping into a Five Guys back in 2009 is actually credited with bumping the chain’s success. Shortly after Obama’s visit Five Guys was generally considered one of America’s favorite burger spots. As far as we can tell, the powers that be at Five Guys prefer to stay out of partisan issues, having made no significant statements or contributions on behalf of big issues like guns, God or queer rights. 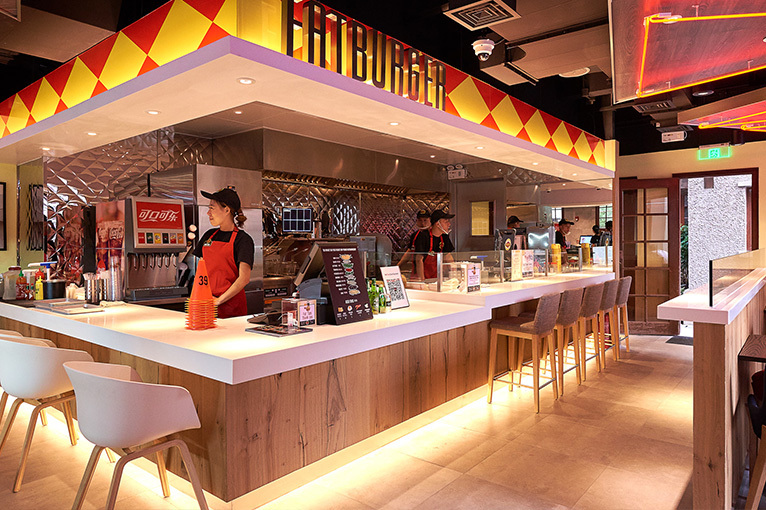 An L.A.-based chain founded in 1952, Fatburger is known for offering burgers sized from “single” to “XXXL,” its name based on the sheer size of those larger patties. Several Fatburger locations are open late into the night or are open 24 hours, making it a favorite among night-owls everywhere. Its 200-plus burger joints are found in 20 countries. In the United States, it’s found mostly in Western states and Texas. Unlike Shake Shack’s CEO, Fatburger’s Andy Wiederhorn opposes any increase to the minimum wage. But as far as we can tell, Fatburger shies away from politics, with nothing found to indicate it advocates for liberal or conservative causes, including gun rights, gay marriage or religious liberty. As one of the fastest-growing food chains in the country, Shake Shack has its share of burger devotees. With nearly 150 international locations, its burgers, crinkle-cut fries and frozen custard can be enjoyed nearly worldwide. 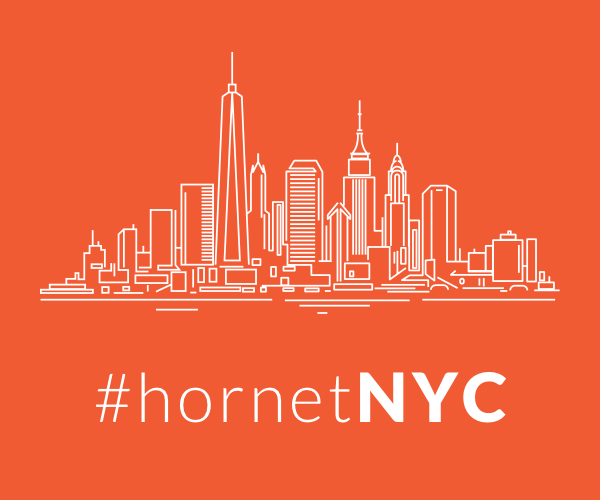 Based in New York City, the politics of Shake Shack shouldn’t be all that surprising. 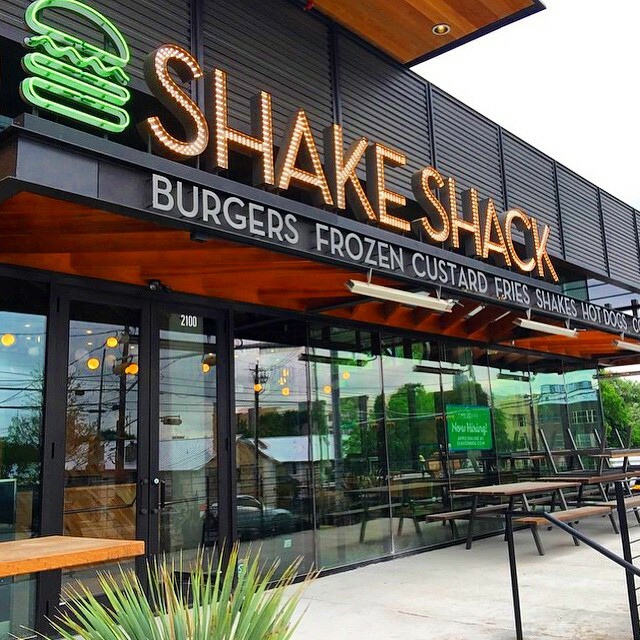 Founder Danny Meyer is an “anti-tipping pioneer” who last year raised his burger chain’s prices to pay its employees more, and ahead of its returning to television, Shake Shack created two Will and Grace-themed milkshakes, with two dollars of each one going to GLAAD. 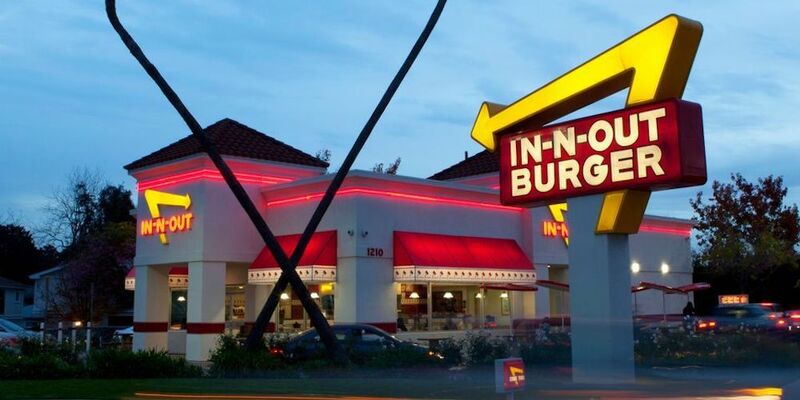 Do you support the “Boycott In-N-Out” movement?